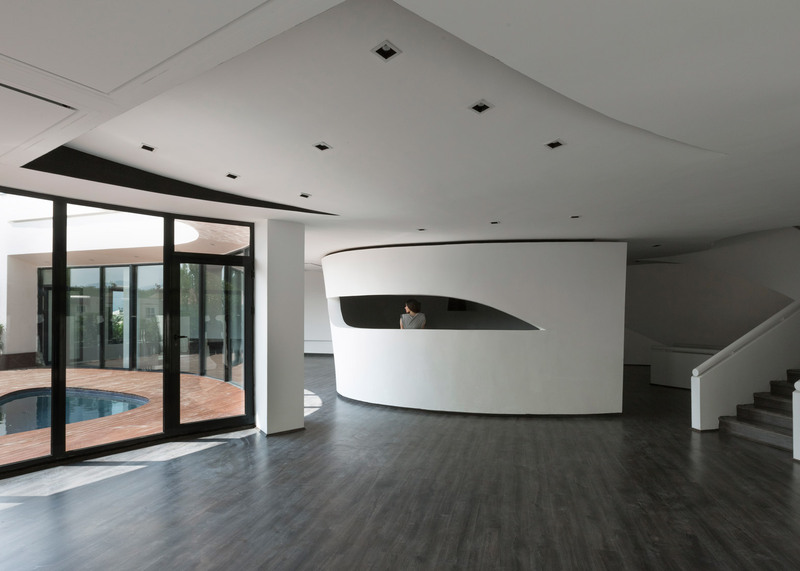 Iranian studio Next Office has completed a house in Tehran that splits in the middle to create two curvy wings (+ slideshow). 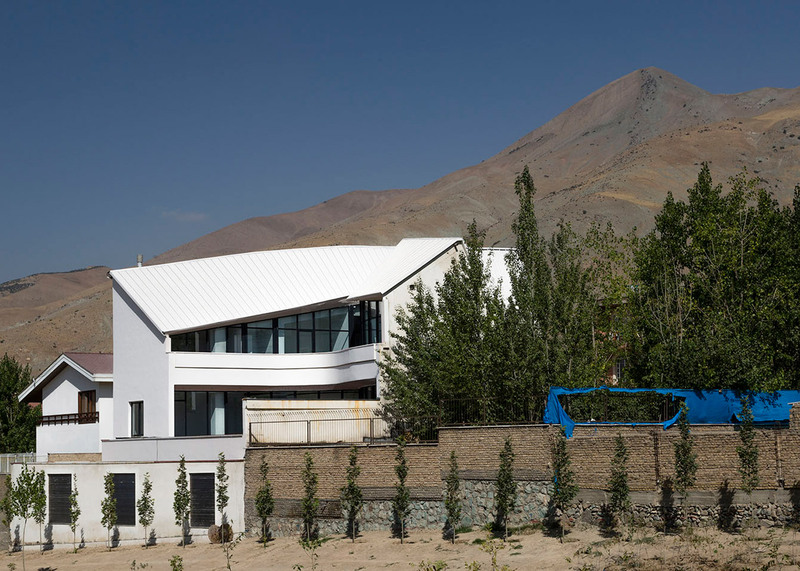 As one of the latest examples of Iran's architecture boom, the three-storey Villa for Younger Brother is located in Lavasan, an area northeast of the city that has been referred to as the Beverly Hills of Tehran. The unusual shape of its plan, which could be described as Y-shaped, was designed by Next Office to give residents an outdoor space that is screened from the view of neighbouring properties. 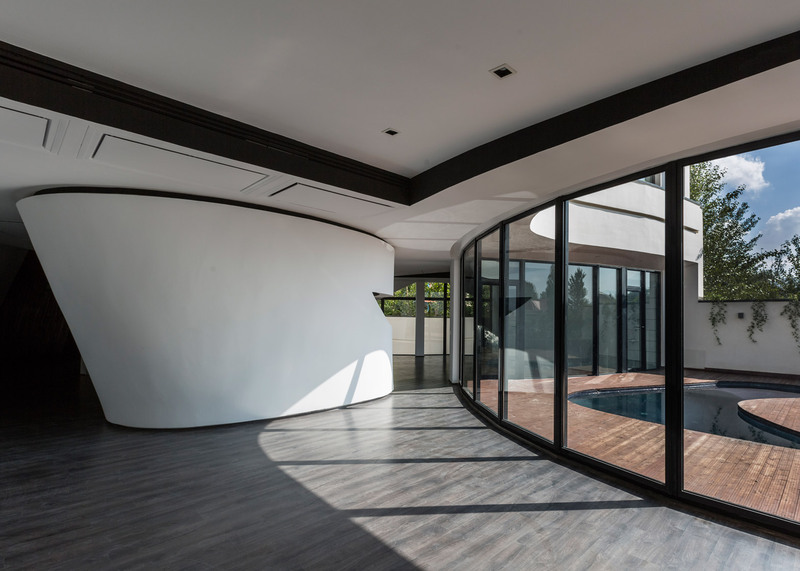 By creating a split at the centre of the building, the architects were able to provide a generous terrace with a small pool at its centre. 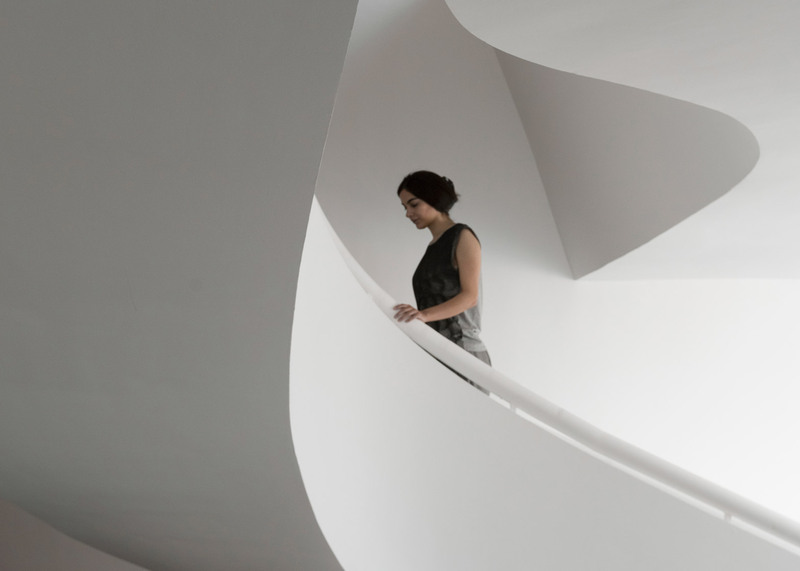 The biggest challenge of this project, according to the architects, was achieving this level of privacy while also creating a house that makes a strong architectural statement. 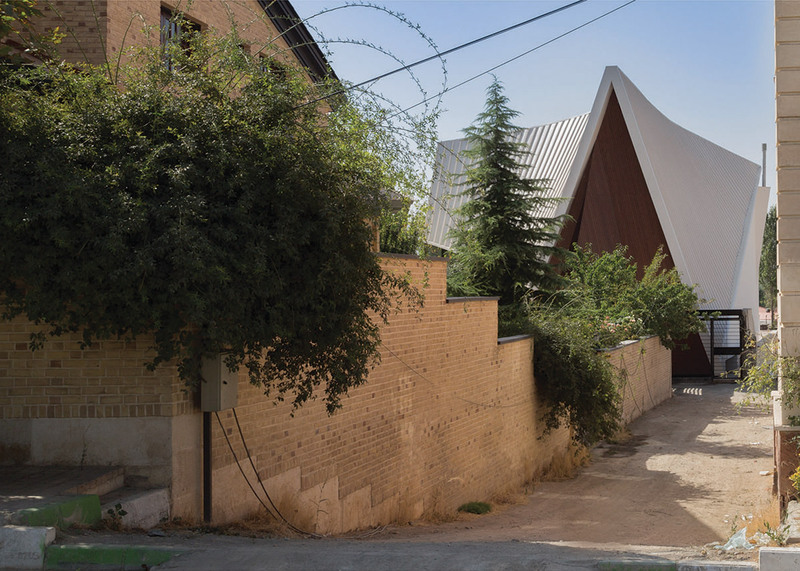 Their solution was to create a steeply pitched roof that follows the divide of the plan, referencing traditional Iranian construction while also giving the house a chapel-like quality. 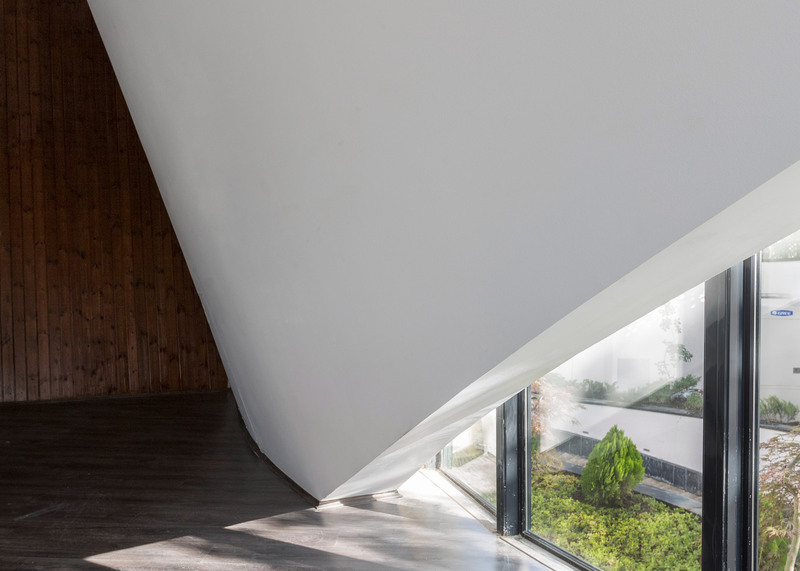 "The choice of this sectional configuration is very much informed by the long history of sloped roof construction in northern Iran," explained Next Office, which is led by architect Alireza Taghaboni. "Yet the conventional form is revisited with a grain of salt," he said. 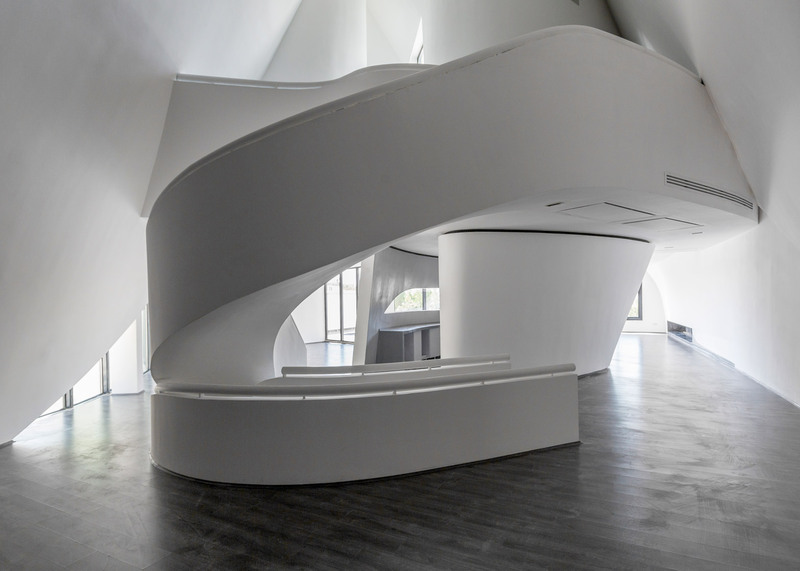 "The redefinition of the sloped roof, through the lens of exaggeration, allows for contradictory spatial experiences to emerge in different interior moments." 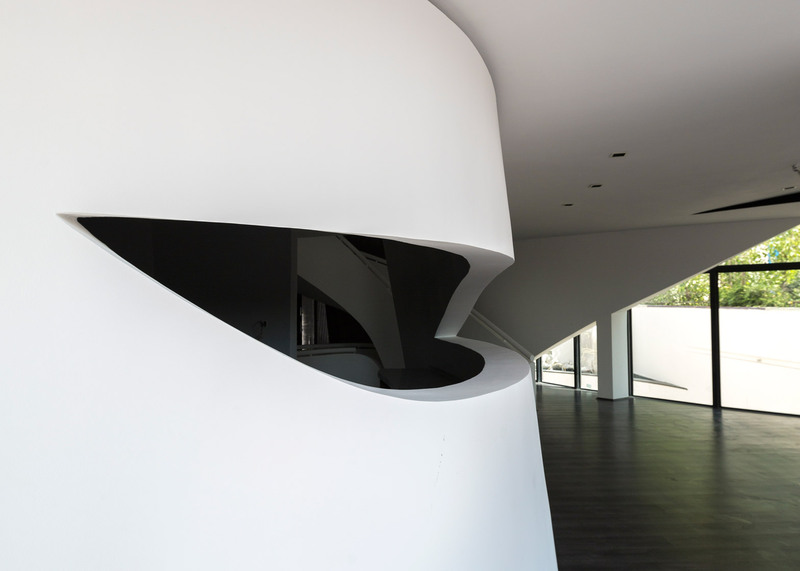 The curved roof creates steeply angled ceilings in first-floor spaces throughout the house, as well as in some of the ground floor areas. 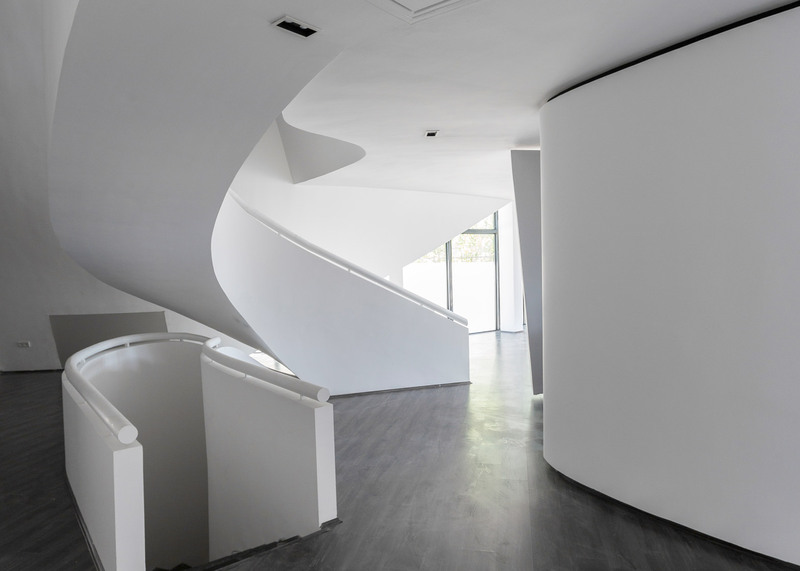 It is complemented by rounded interior walls and curving staircases, which continue down to the basement. 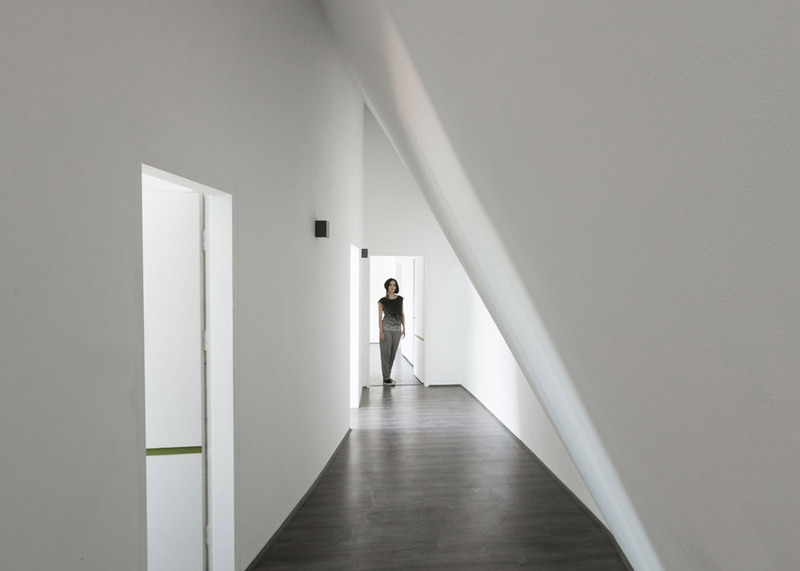 "The project's verticality seems at odds with the normative horizontal configuration of residential constructions," said the studio. 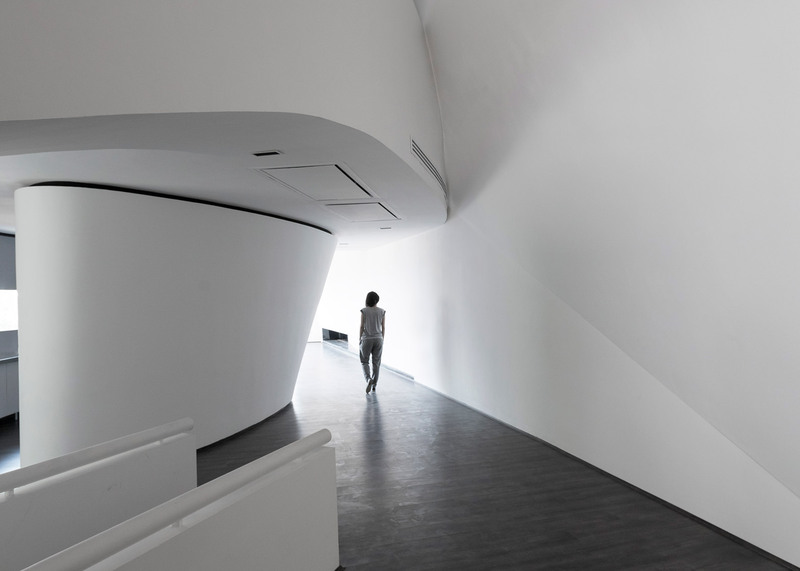 "This opens up to a variety of non-standard interior experiences." Both of the above-ground floors feature a fluid layout, with open-plan areas and rooms that are only partially enclosed. The majority of living spaces occupy the ground floor, with a lounge in one wing and the dining area in the other. 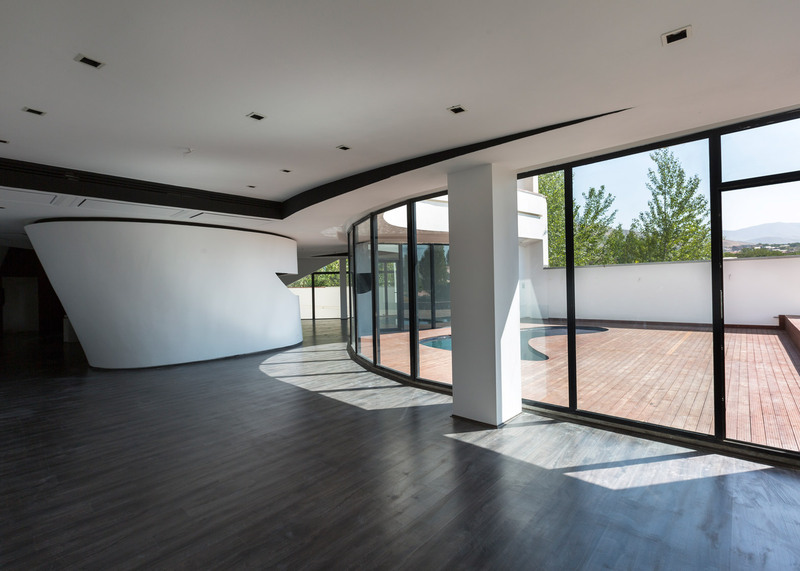 Glass walls allow both of these spaces to open out to the terrace. Upstairs, three large bedrooms suites are each accompanied by bathrooms, and all have access to a long, slender balcony deck. The basement floor is slightly more rectilinear. It contains two spare bedrooms, additional living spaces, utility rooms and a private car park. 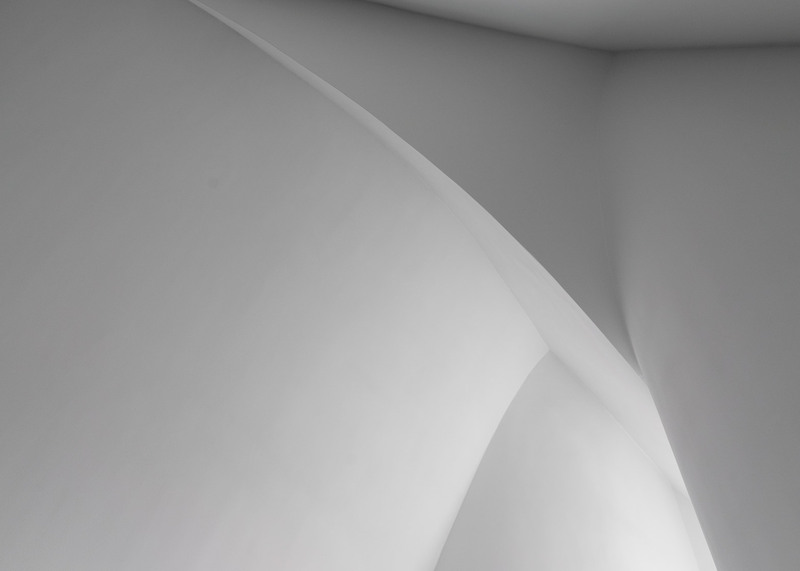 Materials are kept simple to emphasise the building's sculptural form, with white-painted walls both inside and out. Wooden floors run through the interior, matching the surface of the terrace, and there are also some wooden panels cladding the walls. 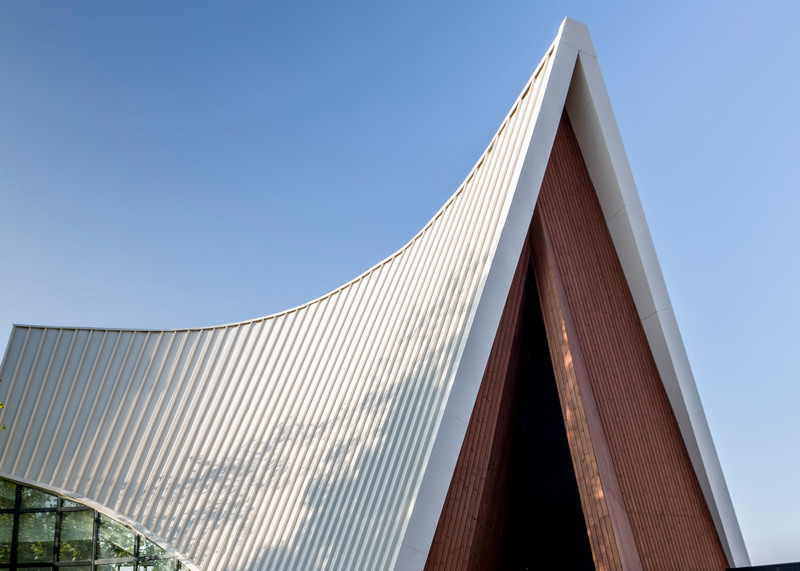 "The roof's trapezoidal sections were custom designed to fit the desired curvatures of the inner surface of the roof in order to avoid any fake stucco work," added the team. 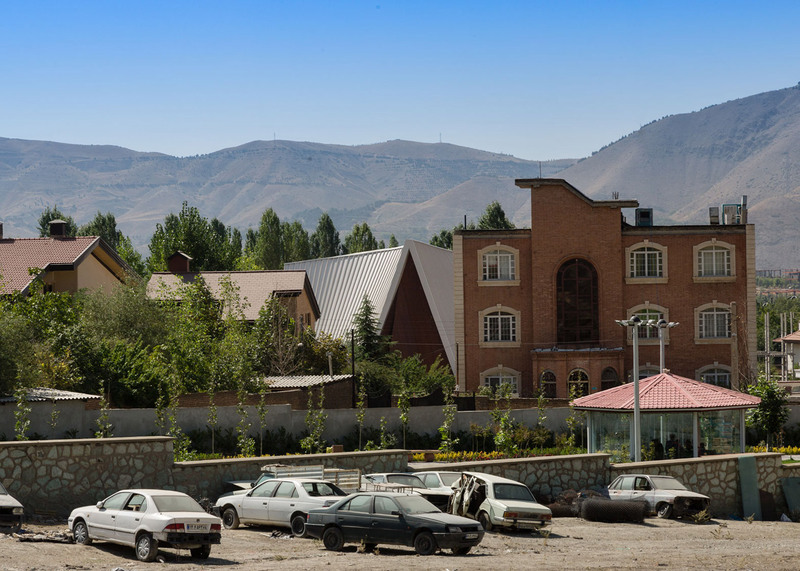 Iran is "on the verge of a new era for architecture" according to local architects, as change sweeps through the Islamic republic following the lifting of crippling economic sanctions. 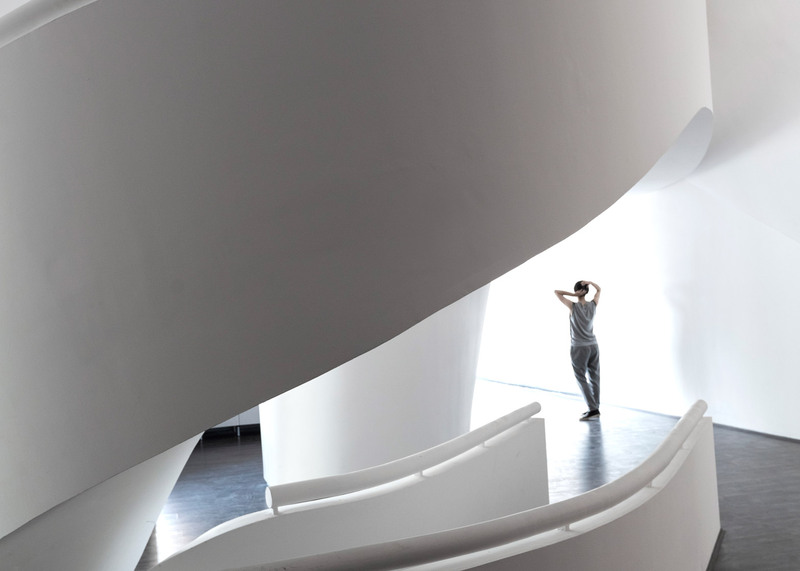 Other recent projects in the country include a shop and office block with a wave-like roof, a house made up of three stacked volumes and a huge pedestrian bridge that invites people to "wander and get lost".